Removing a tree from a property is a major task that should be done only by experienced professionals. Finding the right company to perform the highly skilled task is an important job. Of course, one of the main things on most people’s minds is: how much will it cost to remove my tree? In order to answer that question, there are many things that must be factored in before coming up with a tree removal quote for your Dallas – Ft. Worth home or property. This post will attempt cover these variables so you can get a better idea of what to expect. The height of the tree determines how difficult it will be to have it come down safely in your yard. The taller the tree, the more workers and, and it may involve using ropes or a crane. Generally speaking, trees under 25 feet are considered small jobs, 25-75 medium jobs, and over 75 feet large jobs. Certain trees in the Dallas – Ft. Worth area are larger and more difficult to remove. Oak is one of the hardest woods and removing an old tree can be very time consuming; maple and bur can reach over 100 feet tall; palm trees have thorns and must be handled in a special manner. Whether the tree is dead, sick or dying (link to previous article) can affect the price to remove it. A dead tree can add an element of unpredictability to the job as the decayed trunk or branches could crack suddenly, making it more expensive to remove. On the other hand, some dead trees are easier and lighter to handle and extract. You’ve heard the mantra used in real estate, but it also applies to tree removal. Simply put, a tree that is easily accessible and not near hazards like power lines, plumbing, or structures is going to cost much less to get it out. Sometimes homeowners can save costs by arranging for the city to pick up tree pieces. The city of Dallas has a once a month bulky/brush item pickup that can take branches 8 ft. or less as well as bagged leaves and shrubs. This can save you extra fees for hauling/cleaning. Generally speaking, tree removal and stump removal are two different jobs. Homeowners that just need the tree itself gone and can leave the stump will pay a lot less than those that need roots and all pulled out. 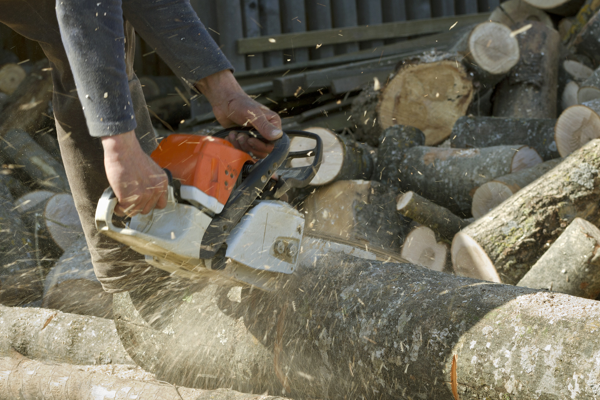 Usually, stump removal is determined by the diameter of the trunk and (you guessed it) its location on the property. Once the stump is removed, it is disposed of on the premises with a grinder. Grinding multiple stumps will bring the cost down per stump. A job is considered an emergency call if it’s a) after hours and/or b) needs to be dealt with right away. Extra fees are usually added so we can be ready with our crew and tools at a moment’s notice any time day or night. The condition of the soil can make removing the tree easier (or more difficult) as well as if it is straight or leaning severely. A tree with multiple trunks and lots of branches can also add to the estimate. Time – how long will it take to complete the job from beginning to end. Almost every job has its own special circumstances and we pride ourselves in treating every customer the same with a fair and honest quote when we are called for a tree removal service estimate. So when you call DFW Tree Service in North Texas and ask “How much does it cost?” You’ll understand why we can’t give an answer over the phone. But once we come over and inspect the tree or trees, we’ll be happy to give you a complete itemization of the total. Call today for a free, no obligation estimate on your next tree service project (469) 706-9832. « Do You Tip Tree Trimmers?